Every online marketer has their own strong opinions about which web marketing ideas work best. And for each of those ideas, there are dozens of methods and approaches that can provide varying results. The success of any given web marketing idea depends on numerous factors: the industry, the market, access to resources, and the entrepreneur’s commitment to achieving his or her goals no matter what. One idea that has gained traction over the past few years is content marketing. Seasoned veterans and newcomers to the online marketing game all know that content marketing can be leveraged in various ways to bring in new business and drive sales. That’s why if we had to choose one of the best web marketing ideas you should implement right now, it would be content marketing. 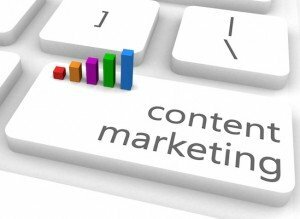 Content marketing is a system of creating relevant and valuable content for a clearly defined audience. The goal of content marketing is to turn that audience into customers through consistent sharing of targeted content. It’s one of the newest web marketing ideas, and there remains plenty of confusion about what it looks like and how it works. What Does All That Content Look Like? That depends on your resources, your audience, and your desired goals. Any sort of written material can be considered content marketing, if you use it to inform your target audience and eventually make them your customers. A weekly blog, a newsletter, a series of e-books – any of these things and more can be used for content marketing purposes. Content marketing is an ongoing marketing strategy that doesn’t interrupt your target audience’s day with obnoxious ads or hard sells. Instead, content marketing helps you educate your target audience and thereby establish your reputation as an expert in your field. As people come to trust you and understand the advantage to doing business with you, one by one, they will make the trip down your sales funnel and become customers. Will Content Marketing Work for My Company? Businesses large and small, in just about every conceivable industry, have successfully implemented content marketing strategies to make more sales. There is absolutely no reason to think that it will not work for you…unless you are not willing to commit the time and effort it takes to produce great content that your target customers need and want. How Does SEO Work with Content Marketing? Search engine optimization (SEO) is a smart way to attract more of the right people to join your audience. When people search the Internet for your carefully chosen keywords, they may find your website in the search engine results page. The more people you reach with your content, the more potential customers you have to develop a relationship with. Having a hard time deciding when to incorporate content marketing into your marketing plan? The idea of creating compelling content for your audience on a regular basis can feel intimidating. The good news is that there are plenty of great writers out there who can help you craft great content that will keep readers coming back for more. PersistSEO can help you incorporate content marketing and other web marketing ideas into your overall strategy. To learn more about web marketing ideas you can use for your business, call (770) 580-3736 to request a complimentary SEO analysis.